Home to the famous fish boils, natural beauty, charming towns and its endless opportunities for recreational activities, it’s not surprising Door County is the crown jewel of Wisconsin! If you’re planning a summer vacation to Door County this summer, you’ll be glad to know that Door County boasts much more besides enjoying outdoor recreational activities. Whitefish Dunes State Park boasts miles of beautiful sand beach overlooking the stunning Lake Michigan, which doesn't come as a surprise why Whitefish Dunes State Park is one of the most popular summer vacation spots in the Midwest for a beach vacation. 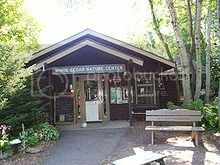 Besides enjoying beach activities at the park, the other main attraction here are the guided walks through the dunes with a park ranger, and Whitefish Dunes’ nature center, which boasts interesting exhibits and interactive displays for the little ones. Sturgeon Bay Museum is another of the must places to visit in Door County, especially if you’re a boat enthusiast. The museum has many galleries with dozens of exhibits on display that include scaled-down to size 20th century ships, Native American kayaks, and lumber schooners. Sturgeon Bay Museum also boasts a boat building area where you can get to see ongoing restoration works on salvaged ships, as well as a beautifully restored vessel docked outside which you can tour for around $5. 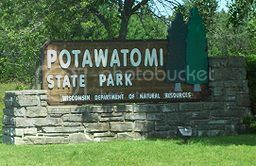 Potawatomi State Park is another popular spot in Door County where you can enjoy a ton of recreational activities like boating, camping and picnicking, as well as fun nature programs for families. However, Potawatomi Park is another spot you must include on your list of places to visit in Door County because of Potawatomi’s observation tower which offers amazing views of Green Bay. Also, if you’re love watching wildlife and spotting birds, Potawatomi State Park is the best spot in Door County for these since the park is home to varied wildlife like deer, fox and chipmunks, as well as hundreds of species of songbirds. Cave Point County Park is located just north of Whitefish Dunes State Park, and it’s one of the most popular places to visit in Door County because of its underwater cave diving opportunities. Cave Point also offers one of the best lookouts in Door County for enjoying stunning cliff views and the ocean waves splashing against the rocks. 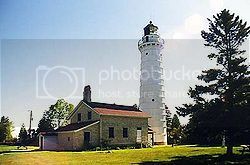 Door County boasts dozens of lighthouses, though none more historic than Cana Island Lighthouse in Baileys Harbor, which is another of the top attractions in Door County. Cana Island Lighthouse is open to everyone so, you’ll be able to see the oil house and climb to the top to enjoy panoramic views of the sea. Gill’s Rock Maritime Museum is another great place to visit in Door County if you want to find out more about Door County's famous shipwrecks, and see more interesting artifacts on display such as traditional fishing nets and boats. Besides these, Gill’s Rock Maritime Museum also boasts a 1930’s fishing tug which you can board for a tour. 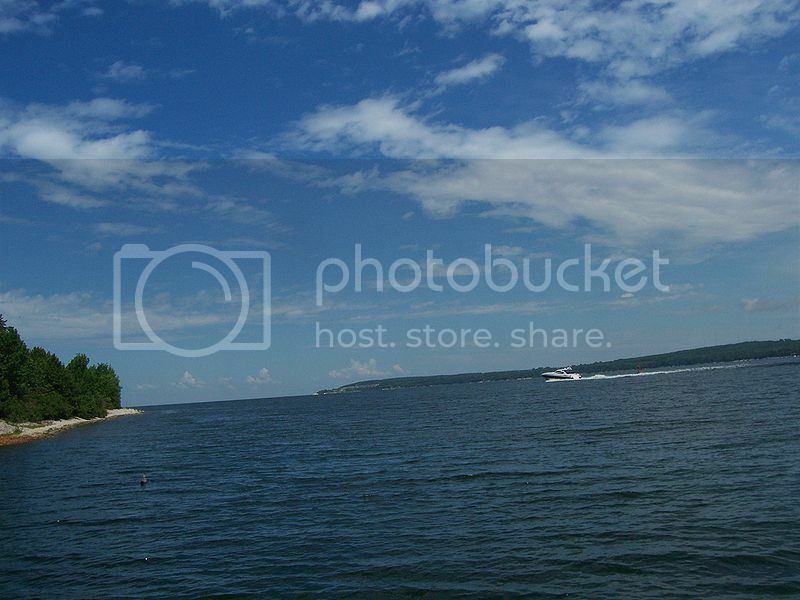 Peninsula State Park is one of the largest state parks in the region and it’s, undoubtedly, one of the best spots to base a family vacation in Door County. Peninsula State Park also boasts plenty of camping opportunities, family friendly programs and lots of opportunities for recreational activities like kayaking, golfing, fishing, and bird-spotting. Besides all the fun activities on offer, Peninsula State Park is another great spot in Door County for enjoying stunning views of the area and Green Bay thanks to the many lookout points and the park's 80ft tall observation tower. If you’re looking for more interesting places to visit in Door County, be sure to add a visit to Alexander Noble House to tour the inside of this period house, which is the oldest house in Door County. Rock Island State Park is located in Washington Isle, and it’s without a doubt one of the highlights of a visit to Door County since Rock Island boasts two of the top attractions to visit in Door County. They include the stunning Icelandic stone boathouse and Pottawatomie Lighthouse, which is the oldest lighthouse in Wisconsin.